Life is either a great adventure or nothing! Lewis spoke to nearly two hundred 9-11 year old school pupils from Camden on Monday. It was all part of a brilliant event called the Camden Primary Careers Conference held at the British Library. The conference, in its second year, aims to raise the aspirations and kick start the imaginations of the children of Camden Borough in London. 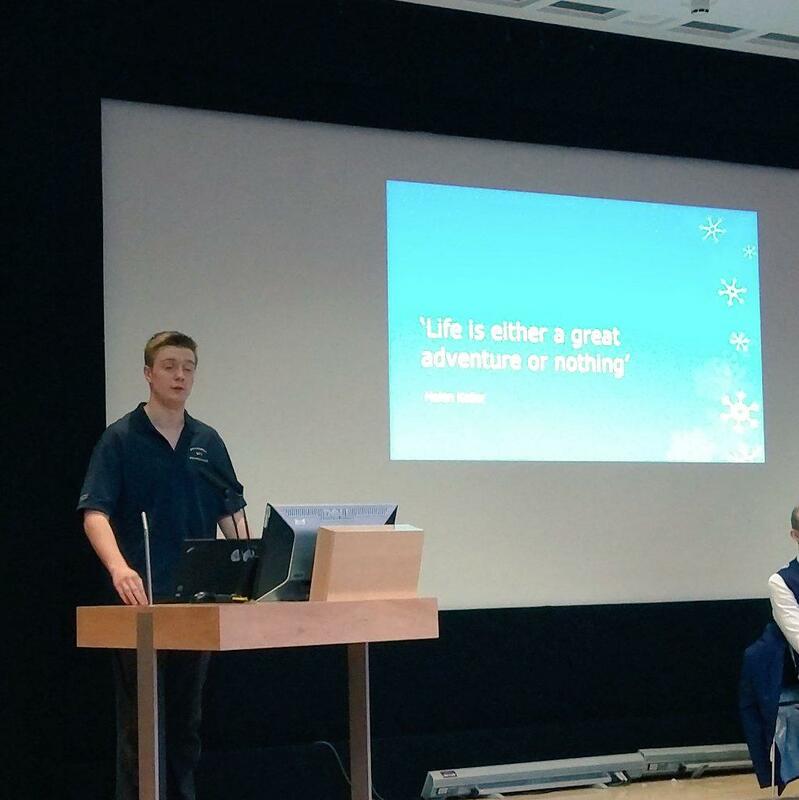 Lewis shared with the pupils the story of his South Pole expedition as well as passing on some great tips for goal setting and also shared with them his favourite quote from Helen Keller (the first deaf blind person to get a degree) – “Life is either a great adventure or nothing”. Lewis shared the stage with other inspirational young people including the Bake Off star Martha Collison , young chef Dan Pawson and Shakespeare rapper Akala. This time last year Lewis was trudging across the Antarctic continent, surrounded by nothing but snow and ice, nearly two weeks into his seven week epic expedition. 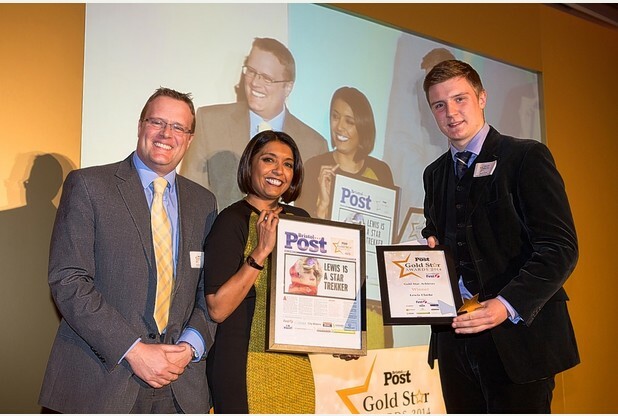 A year later and his environment couldn’t be more different – all dressed up, tucking into a lovely Christmas lunch and honoured to receive the Bristol Post Gold Star achiever award 2014. At a fun awards ceremony at the Marriott Hotel in Bristol Lewis was presented with his prize by Casualty and Strictly Come Dancing star Sunetra and a representative from sponsors Computerworld Personnel (huge thanks to them as there would be no awards without sponsors). 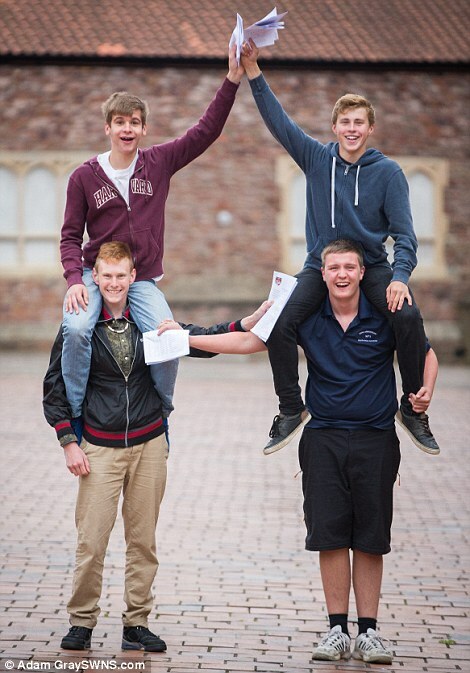 When Lewis got back from 7 weeks in Antarctica he barely had time to take off his polar boots before he literally went straight into his GCSE mocks and then into the real thing (in August he got his results – 7 A*s and 3 As). He is most proud of his A in German – a subject he finds difficult. His mum packed some German revision for when he was in Antarctica, but not surprisingly he said he was too busy surviving and didn’t have anytime to revise! Now that his exams are done and dusted though he is busy organising an exciting series of talks with the aim of inspiring other young (and not so young) people. The Prince’s Trust – Lewis aims to find out more about how the money he raised, and will continue to raise, is helping young people in his home town of Bristol. He’d also like to help out with some of their adventure projects longer term. Schools in Bristol, London, Cardiff, Clevedon, Berkshire …. And, not forgetting, Guinness World Records 2015 – the 60th anniversary book launch is on Sept 11th – Lewis’s expedition is featured on the South Pole page and page 11. Lewis is big in South Korea! A crew from South Korean national news came to Bristol to make a big feature on Lewis for their news show today. They told us that “Lewis is very big in Korea!”. The crew and presenter were delightful and fun to work with. They explained that Koreans are very keen on climbing, mountaineering and polar expeditions and that they also admire young people who work hard to achieve their goals. British artist Heather Bowring has painted Lewis’s portrait. It will form part of a collection called ‘I am not who you think I am’ due to tour Britain later this year. The paintings, uniquely, are designed to be enjoyed by both sighted and visually impaired visitors. They are tactile and designed to be touched as well as viewed. The 14 portraits all depict people who have achieved something remarkable and who challenge stereotypes. 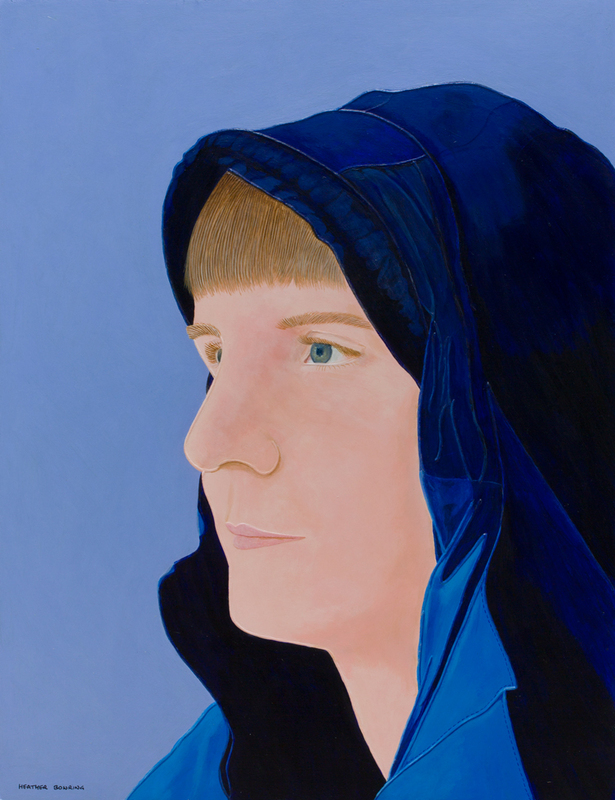 Lewis’s polar adventurer is contrasted against prejudices against teenage boys in hoodies. 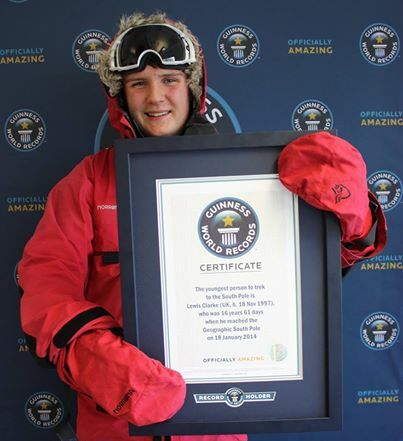 Lewis’s epic Antarctic expedition has now been officially verified by Guinness World Records – the youngest person ever to trek to the South Pole from the Antarctic coast. He has been invited to the Guinness offices in central London on Friday February 21st to be presented with his certificate. Just 2 days after getting back from Antarctica Lewis was invited to talk to an audience of 450 people at the Adventure Travel Show at London’s Olympia. It was strange for him to see lots of other humans again after nearly 7 weeks on the polar ice but he did a great job speaking with confidence and fielding questions. Thank you to everyone who donated to the Prince’s Trust – you raised £97.58 which has gone up on Lewis’s Prince’s Trust Just Giving site which remains open for another few months! Next on the stage was Sir Ranulph Fiennes, the world’s greatest living explorer, who gave an inspirational and often hilarious talk. Now Lewis is sleeping a lot and getting stuck into his next great adventure – GCSEs. Has Lewis’s story whetted your appetite for a bit of adventure in 2014 ? At 10.15am on Saturday January 25th Lewis will give his first public talk about his extraordinary expedition at the Adventure Travel Show at London’s Olympia. Sir Ranulph Fiennes, who described Lewis’s new world record as a “great achievement”, will give the show’s keynote talk straight after Lewis at 11.00am in Theatre 1. Why not come along and see them both, plus lots of other amazing adventurers, and dozens of stalls and workshops, and get some inspiring ideas for your own expedition, gap year or family holiday? If you quote ‘LEWIS’ when you book online you’ll also receive a discount. Expeditions don’t just happen, they start with an inkling, an idle thought, a ‘what if?’. And then there’s a hell of a lot of hard work and endless setbacks. But, with lots of people’s belief and support (and inevitably a few detractors along the way), the expedition struggles into life. And that’s all before you even set off. Lewis and Carl’s ambitious expedition to the South Pole couldn’t have happened without the help, encouragement, generosity and enthusiasm of a lot of different people. So this is a big thank you to the many individuals and organisations who have shown such belief in Lewis, and to those who through their generous donations to The Prince’s Trust (via Just Giving online), will now help other young people to overcome fears, or difficulties, to get out there and achieve their goals. Please keep donating, you really can change lives. Mo and Harry Johnson (Harry pictured above): Lewis’s grandparents who recently passed away but who loved to travel and without whose generosity this expedition would never have happened. Carl Alvey, ANI Polar guide, veteran of many Greenland ice cap crossings and several shorter Antarctic expeditions, who guided Lewis to his goal so expertly. He also completed this classic Hercules Inlet coast to pole journey for the first time himself. ANI (Adventure Network International)/ALE (Antarctic Logistics and Expeditions) who provided flights and logistics which got Lewis and Carl where they needed to be and helped keep them safe. QEH school, Bristol – who have supported Lewis all the way, including helping him to take his GCSE maths exam a year early and teachers who have provided extra work for him to do through the holidays and will help him catch up on his return. Sol Clarke (aged 11), Lew’s little brother. Who endured endless trips to Weston Super Mare, where Lewis practised his tyre pulling, and did lots of media interviews on his brother’s behalf with great aplomb. And who put up with inevitable questions about following in his brother’s footsteps. Sol is his own person and will no doubt make footsteps of his own, most likely not in the snow. Our Honda car (1999) which showed, and continues to show, great endurance of it’s own as it should have been retired 3 years ago. 191,000 miles on the clock. Thanks for keeping going. … and finally, to the man in the pub who saw Lewis’s story on the news; the lady in Trinidad and the grandma and grandson from ‘The North’, and everyone else, who were inspired by Lewis’s story and donated to the Prince’s Trust on his behalf, thank you. 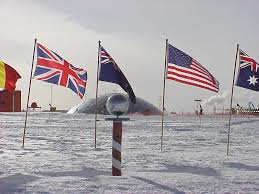 Of note: Lewis and Carl arrived at the South Pole at 18.00 GMT today January 18th, 2014. Lewis has gone into the history books, becoming the youngest person ever to trek to the South Pole from the coast (see world record page on this blog). Lewis and Carl were greeted by polar legend, and Lewis’s mentor, Hannah McKeand who just so happened to be manning ANI’s (Adventure Network International’s) polar camp. After an early start and -50C (inc windchill) it took them a few hours longer than expected to reach their goal. As Lewis rang to confirm his arrival his dad Steven was live on BBC news 24 via Skype and BBC Points West were also filming as his call came in. Lewis said he had also been delayed from calling home by 30 mins by eating his first real meal in nearly seven weeks, spaghetti Bolognaise with fresh parmesan. He is now sitting in a heated tent which he is very excited about. Lewis will stay overnight at the Pole and then he has been offered a tour of the Amundsen Scott Polar Research base tomorrow. He will fly back to Union Glacier base camp tomorrow afternoon and will be back in the UK on January 24th. We and he have so many people to thank, but right now our heartfelt thanks go to Carl Alvey, his polar guide and sole companion for the past seven weeks and ANI, the Antarctic logistics company, who have kept him safe and helped him realise his dream.